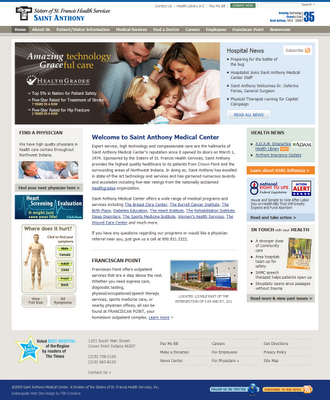 TBH Creative was hired to redesign the home page of Saint Anthony Medical Center in Crown Point, Indiana. The home page original arrangement needed a better arrangement to display more information including news, health related tools, keywords, and buttons to other important areas of the web site. We created a new layout that allowed more flexibility, offer a lot of important information, and would help users find what they needed quickly. 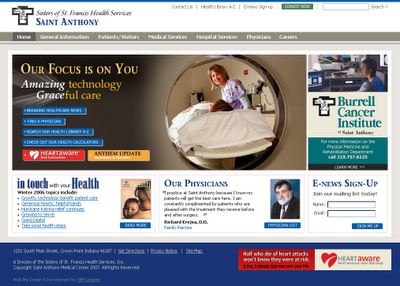 Visit the web site to learn more Saint Anthony Medical Center. Small changes make quite a difference! See the previous layout. About Saint Anthony Medical Center in Crown Point, Indiana Sponsored by the Sisters of St. Francis Health Services (SSFHS), Saint Anthony provides the high quality health care to its patients in Crown Point and the surrounding areas of Northwest Indiana. 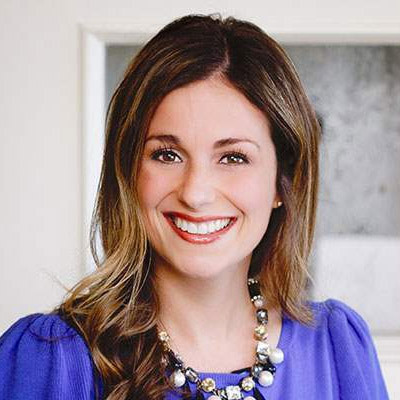 Saint Anthony offers state-of-the-art technology and services and has been awarded numerous recognition including five-star ratings from Healthgrades organization. To learn more about TBH Creative's web redesign services, contact us today. We are happy to evaluate your current web site and give recommendations for visual, coding, or functionality improvement. All components together will help you achieve an effective web site.